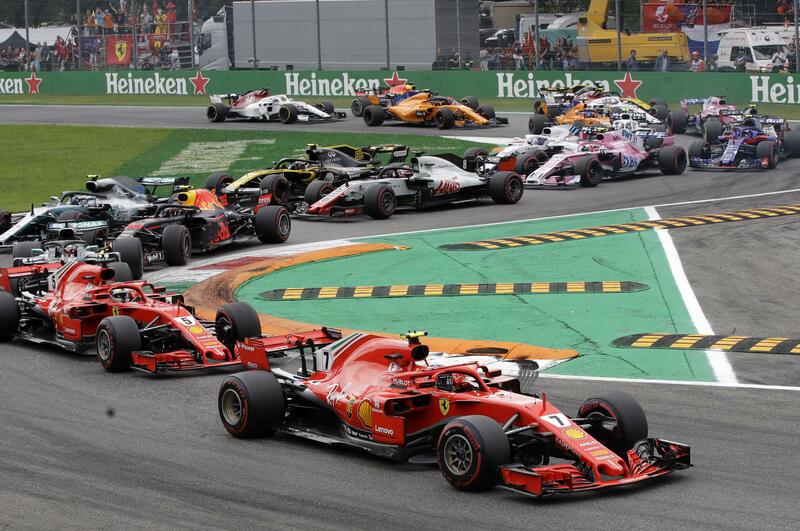 MONZA, Italy – Lewis Hamilton denied Ferrari a dream home win at the Italian Grand Prix on Sunday as he overtook Kimi Raikkonen eight laps from the end to claim a fifth victory in seven years at Monza. The Mercedes driver beat Raikkonen, who had started in pole, to tie Michael Schumacher’s record of five Italian GP victories and extend his championship lead to 30 points over Ferrari’s Sebastian Vettel, who had a nightmare start. Valtteri Bottas was third in his Mercedes, ahead of Vettel and Red Bull’s Max Verstappen, who received a five-second penalty. Hamilton had another go down the outside heading into the second chicane, inching ahead of Vettel when they made contact causing Vettel to spin.